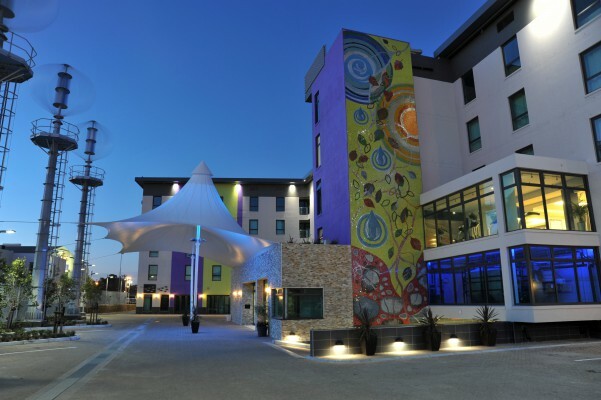 Hotel Verde, by BON Hotels, Africa’s Greenest hotel, located at Cape Town International airport, and recently awarded its 4 star status continues their green initiatives in all things sustainable, to reach yet another milestone in their service offerings. They have partnered with impact Choice, provider of end-to-end environmental sustainability solutions, to offer guests and conference delegates a carbon neutral (guilt free) stay, by offsetting their carbon emissions via responsible carbon capturing/reduction projects. Hotel Verde’s Sustainability Strategy, in particular with regards to energy efficiency is rigorous and being more energy and water efficient than most, makes it much easier for them to offer this carbon offsetting programme to their guests – the first HCMI (Hotel Carbon Management Initiative) implementation of its kind in Africa! “We have committed to offsetting each guest’s stay or conference with us at no additional cost to the guest, taking straight from our bottom line. This is another way of differentiating ourselves and adding value to our guests without compromising on guests’ comfort” says Mario Delicio, owner of Hotel Verde, who believes this to be a must-have offering from Hotel Verde. So, what is carbon offsetting? To simplify just how much impact we as humans have on the environment, going about our daily lives, environmentalists have equated all impacts to one measurable yard stick: carbon emissions. Carbon emissions refer to the amount of greenhouse gases released into the atmosphere due to human activity, such as burning of fossil fuels. They are measured in metric tons of CO2 and represent 6 primary greenhouse gases. Carbon offsetting represents a removal of carbon emissions made elsewhere to compensate for carbon emitted during your hotel stay. impactChoices’ technology provides a unique solution, that will enable Hotel Verde to apportion these emissions to a product or service offered to guests, and mitigate these through the purchase of a certified Carbon Credit.All guests will receive an individual carbon reduction certificate relative to the duration of their stay and the emissions footprint associated with their room. The financial benefits of the Carbon Credit purchases will be received by The Sofala Community Carbon Project in Mozambique, which works with communities to rehabilitate the forests on their land and introduce new, sustainable farming practices, such as planting the CO2-hungry indigenous Miombo trees. All transactions are auditable Micro Carbon Reduction Certificates, and the Sofalaagro-forestry carbon offset credits are the highest quality purchasable in Africa. Over and above Hotel Verde’s energy efficiency initiatives and reduction strategies – within the building design, and active systems, this solution is a valuable benefit to corporates and leisure travelers’ alike, and also takes the guesswork out of emissions measurement, forecasting, and reporting. 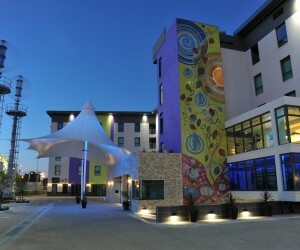 Hotel Verde has chosen Indaba, Africa’s top travel show and home of the Imvelo Awards to announce their commitment to its’ guests, the industry and the environment. This carbon neutral hotel experience is an initiative of the Hotel Verde group and will be a service commitment for all future hotels.